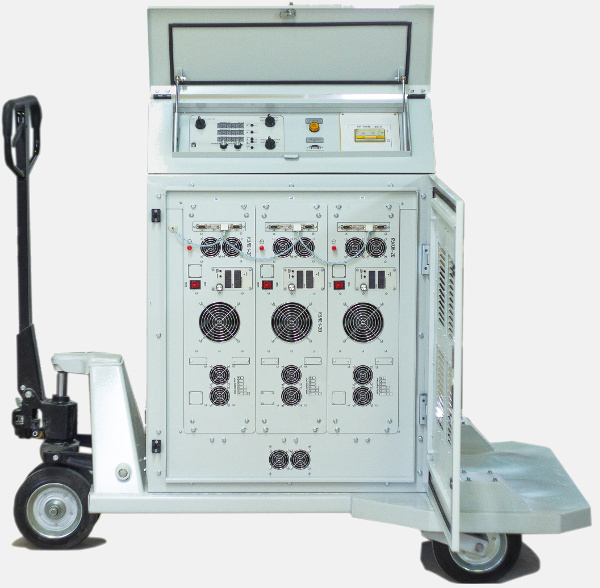 The DC power supply for test aircraft equipment, using standarts MIL-STD-704, RTCA/DO-160F. 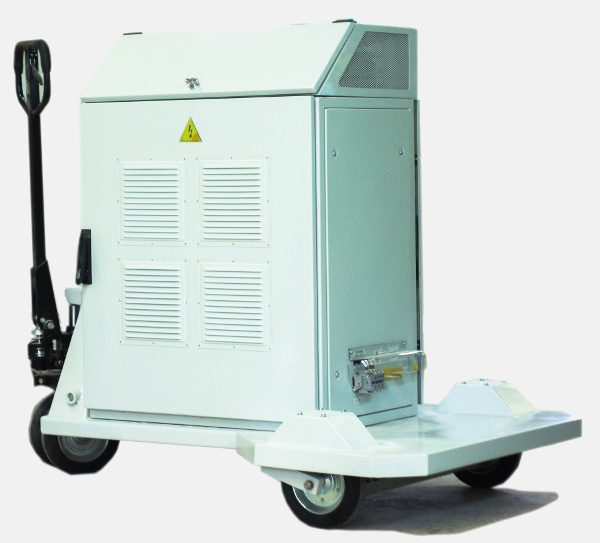 Output parameters DC power supply: current load to 400A, output voltage to 80V, output power to 25 kW. Functionally, the source consists of three blocks of KULON (power modules), electronic switch unit, built-in control panel and remote control. 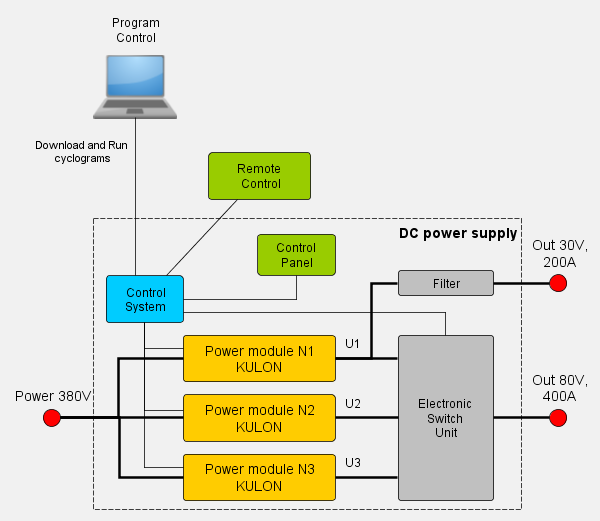 Сontrol system of DC power supply synchronously controls the power modules and the switch unit. Manual mode - arbitrary connection of one of the power modules to load, manual control the output voltage during operation. 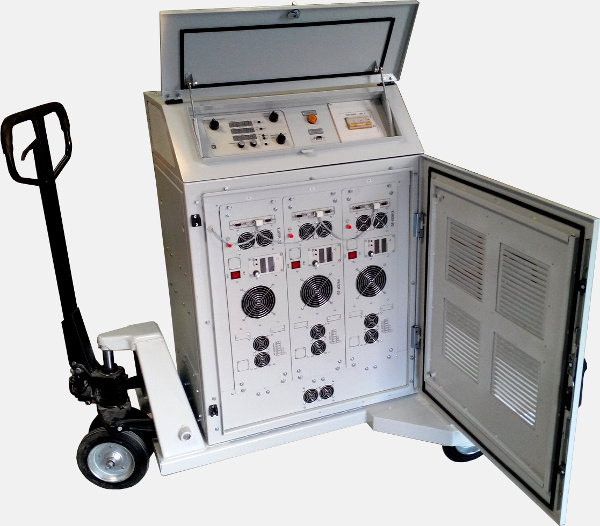 Auto mode - control the power modules and switch in accordance with the parameters set previously from the control panel or remote control. Program mode - control the source via cyclograms, downloaded from a personal computer (PC).